This is a signature smoothie of mine during autumn months when the orchard is in full swing and kale is in season. It’s easily adaptable to suit other fruits and greens (spinach, chard, etc). I use a juicer and a blender to make this (see my favourite products for making smoothies) but don’t despair of you don’t have a juicer. Just put all the ingredients in your blender (squeeze in the lime juice and cut the ingredients into small blender-friendly pieces) and add water as needed to blend to a smooth consistency. Juice the apple, celery, cucumber, spinach, lime and ginger. 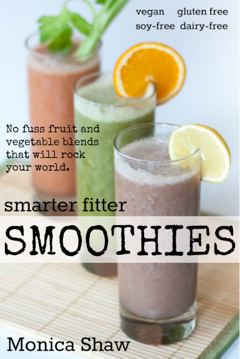 Put the juice in your blender along with the avocado, psyllium husk and flax seeds. Blend until smooth, about 20 seconds (if using psyllium husk, I suggest waiting for a minute or two and then blending again, as it takes a few minutes for the psyllium to absorb the liquid). 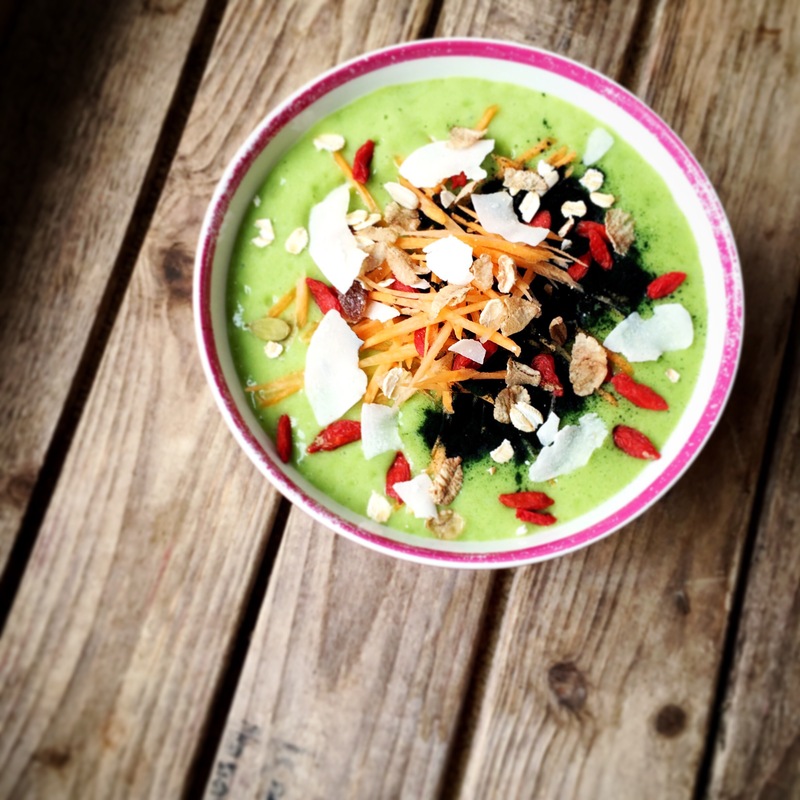 Serve as desired with your favourite garnishes (I like grated carrot, muesli, goji berries, and lots of spirulina!). My recommended tools for the job: the Froothie Optimum 600 Slow Juicer and Optimum 9200 Blender.